Dr. Amy Swier-Vosnos holds licenses to practice clinical psychology in Indiana and Illinois, and maintains privileges at four area hospitals. She provides comprehensive outpatient neuropsychological evaluations, working with adult and geriatric persons with neurological and medical conditions. 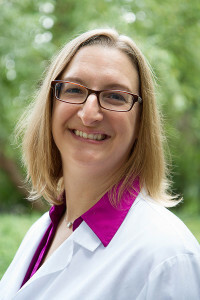 Dr. Swier-Vosnos earned her doctorate at Roosevelt University. Her internship (residency) was completed at Ann Arbor VA Healthcare System, and her post-doctoral fellowship at Rush University Medical Center, Department of Behavioral Sciences. During her graduate education and training, she was involved with research into the psychometric properties of neuropsychological tests, and has co-authored a number of scholarly articles. She continues to contribute to academic research and facilitate dissertations of current doctoral students.